You have a retirement plan—But do you have a plan for the worst? 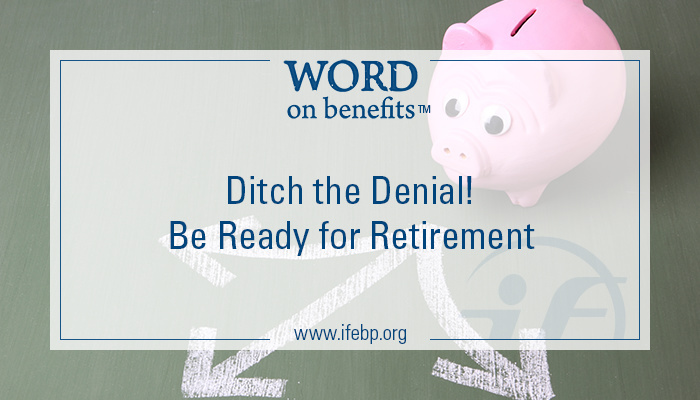 It seems that when it comes to retirement, most of us are in denial. You might be diligently saving, but you are missing the mark if you’re not taking into account life’s twists and turns. 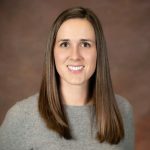 According to an International Foundation of Employee Benefit Plans report The Path to Retirement Security in the U.S.: How Employers and Plan Sponsors Can Help, many of us are in denial about the likelihood that our retirement will contain bumps in the road. The good news is, with a little bit of planning, you can be prepared for anything that might come your way. Many people assume they’ll work until the age of 65 or longer, but that’s not always the case. A survey report from the Society of Actuaries found that preretirees expect to retire at a median age of 65, but the surveyed retirees had retired at a median age of 58. Don’t bank on being able to make up for lost time by saving heavily later in your working years. The same survey from the Society of Actuaries found that while two out of three retirees say they plan to work in retirement, only about one in four will actually be able to do so. Counting on postretirement employment income is not a smart plan. Experts recommend you save to replace 70% to 90% of your preretirement income, but many people think they will be able to comfortably survive on much less and are not realistically saving enough as a result. While this sounds like a good problem, it can mean trouble if you outlive your savings. Consider your health and your family history when determining the length of your retirement years, and work with an expert to determine the best rate for withdrawing income. While Social Security will adjust for inflation, most private pensions and annuities will not (something few people take into account when envisioning income in their golden years). Inflation of just 3% annually can reduce by half the real value of benefits in 23 years. The costs of health care and long-term care can be high, and they are particularly hard to predict. Many workers greatly underestimate the amount they will need to cover their future health care costs. Government figures indicate nearly 70% of Americans will need long-term care at some point after the age of 65. Get out of denial and plan ahead for these types of major expenses. While planning for these “what if” situations might sound overwhelming, it doesn’t need to be. In fact, if you’re already saving for retirement, you’re doing great! 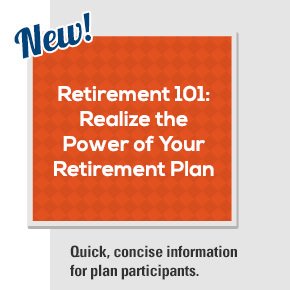 You’ve taken the first steps to a financially secure retirement. Take your savings to the next level by considering some of these scenarios, developing contingency plans and adjusting your savings accordingly. You’ll be able to keep planning for your dream retirement, while having peace of mind to know that you are prepared for anything.